Teddy J. Tonzi,76 of Auburn passed away peacefully Tuesday evening, February 5,2019 at The Commons on Saint Anthony. She was born in Williamson, NY the daughter of Betty Moll Bouwens and the late Leon Bouwens and had been an area resident for most of her life. Upon graduating from Williamson, she would attend and graduate from Auburn Memorial Hospital's School of Nursing. Teddy was appointed the first female licensed Nurse Practitioner in Cayuga County, with a career that would span more than 50 years. She had been employed for more than 30 years at the former Dr. Dooley's office and continued helping train and educate future nurses at Mercy Health & Rehabilitation for several years, before lastly working as the school nurse for Seward Elementary School. Teddy was also an avid golfer and longtime member of the Owasco Country Club. She was most happy being a mom and a grandmother and sacrificed all of her ' free' time to be with them. She enjoyed traveling throughout New York State to watch her sons play hockey. She was a ' true' hockey mom. Her most cherished and special times were those spent with her grandchildren . She will be sadly missed but always held closely in each of their hearts. 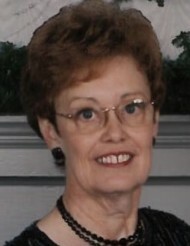 She is survived by two sons, Christopher ( Judy) Tonzi of CT., Geoffrey (Angela) Tonzi of Auburn, mother Betty Bouwens of Williamson, six grandchildren Sarah Beth, Nathaniel (Victoria), Calvin, Molly, Jacob and Teddy Tonzi , a brother Leon ' Butch' ( Carrie) Bouwens, as well as several other relatives and friends. Teddy was predeceased by her father Leon, her husband James in 2008, and her sister Kristy. Calling hours are this Wednesday from 5 to 7 at the Pettigrass Funeral home. Friends and relatives are also invited to her services Thursday at 1030 in the funeral home, 196 Genesee St.,Auburn. Burial will be private and held at the convenience of the family.